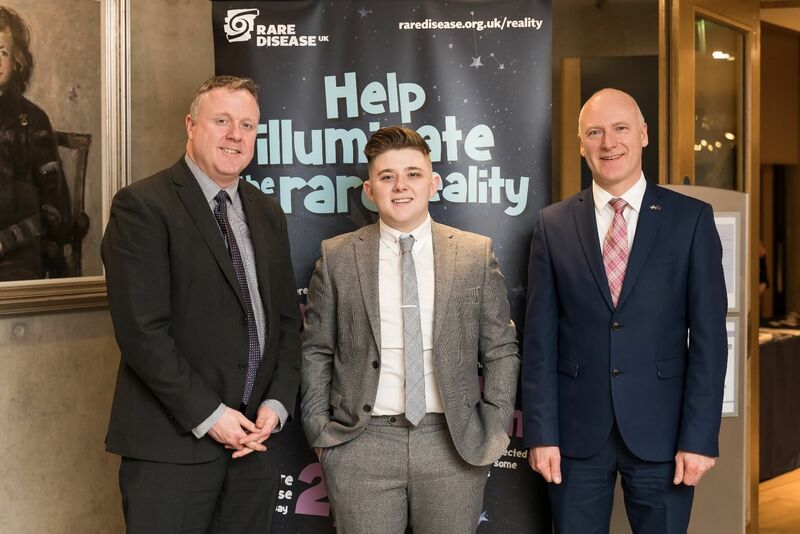 Throughout February and March, we hosted our three annual receptions to mark Rare Disease Day in Wales, England and Scotland. Rare Disease Day is officially held on the last day of February, aiming to raise awareness of rare diseases and improve access to care, treatment, information and support. On Thursday 14 February, we held the first of our 2019 receptions in the Senedd, Cardiff, hosted by Darren Millar AM. During the reception attendees were provided with an update on the progress made on the Welsh Rare Diseases Implementation Plan from Dr Graham Shortland. An annual update detailing progress over 2018 is due for publication soon and will also look at some of the challenges in implementation and the priorities for the upcoming year. Dr Andrew Fry from the All Wales Medical Genetics Service spoke at the event about the challenges and opportunities of genomics in Wales for rare disease patients. Attendees also heard from three patient and parent speakers. Fern Cockrell and her mother, Sally-Anne Ashdown gave their perspectives of living with chronic inherited pancreatitis – a condition that means Fern is in constant pain. Latifah Charles joined them in providing the parent’s perspective of sickle cell disease. Latifah outlined how her local hospital had never seen a patient affected by sickle cell prior to her twins’ diagnosis. Sickle cell disease makes individuals susceptible to infections, so for Latifah’s family, raising awareness and education about the condition and its effects within the healthcare profession, school and the workplace has been incredibly important to help prevent this. 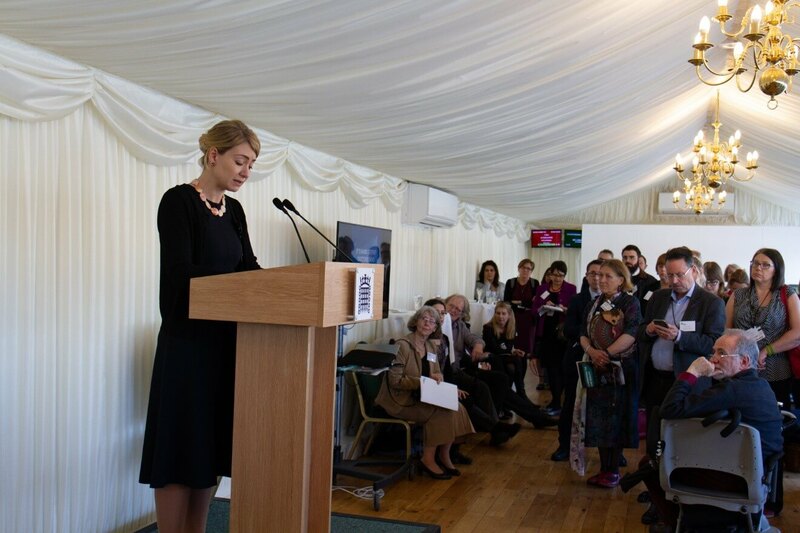 Our second Rare Disease Day reception was held on Wednesday 27 February in the Houses of Parliament, Westminster. The event, hosted by Catherine West MP was attended by over 180 patients, parliamentarians and other stakeholders. 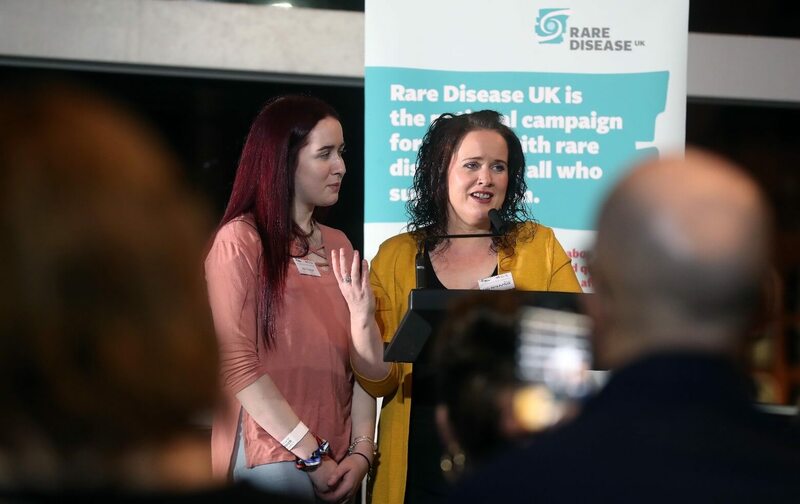 During the reception Dr Jayne Spink, Chair of Rare Disease UK, called for a review and refresh of the UK Strategy for Rare Diseases which is due to reach completion in 2020. As part of this call, Jayne presented an open letter signed by over 125 supporters of Rare Disease UK, and members of Genetic Alliance UK, to the Minister responsible for rare diseases, Baroness Nicola Blackwood. The event also featured the launch of our new report, ‘Illuminating the rare reality’. This report brings to light the difficulties people living with a rare disease face in accessing the care and treatment they need, and underpins our call for a refresh and review of the UK Strategy for Rare Diseases. During the reception Baroness Blackwood spoke about her own experience of living with a rare condition and her long diagnostic odyssey. She also informed attendees of the publication of an update from the Department of Health and Social Care which outlines their progress in implementing the UK Strategy for Rare Diseases, in addition to announcing plans to launch a National Genomic Healthcare Strategy. Attendees also had the opportunity to watch a patient video showcasing Ian’s experience of living with the rare condition, hereditary spastic paraplegia. The event also featured the launch of our new report, ‘Illuminating the rare reality’. This report brings to light the difficulties people living with a rare disease face in accessing the care and treatment they need, and underpins our call for a refresh and review of the UK Strategy for Rare Diseases. Mishal Dattani provided an account of his experience of the rare condition Budd-Chiari syndrome. Mishal experienced a number of challenges in accessing the right care and treatment. At one point he was told he would need a liver transplant. However, after receiving a correct diagnosis he was told a transplant was not necessary. The final Rare Disease Day reception took place on 5 March in the Scottish Parliament Building, Edinburgh. Speakers included Dr Susan Baird, Olalekan Oyepado and Christine Membi, speaking about sickle cell in Scotland; Edel Clough and Dr Susanna Shanks, providing a patient and parent experience of primary ciliary dyskenesia; and Nicholas McDonald launching his patient experience video. During the event Bob Doris MSP, host of the reception, spoke about the challenges experienced by rare disease patients. He also spoke about the need for Scotland to continue to participate in European Reference Networks (ERNs). The Minister for Public Health, Sport and Wellbeing, Joe FitzPatrick MSP, assured attendees that the Scottish Government is committed to improving the lives of people living with rare diseases and shared the priorities of the Rare Disease Implementation Group for Scotland for the upcoming year. During the reception he also announced that work on a new Congenital Anomalies and Rare Diseases Registration and Information Service for Scotland (CARDRISS) is now underway. The information gathered from this register will allow a better understanding of serious conditions and inform the planning of services. In addition to our annual receptions we have facilitated two Twitter takeovers and hosted a stand at Royal Holloway University’s Rare Disease Day event. If you were unable to join us for this year’s takeovers you can find out more by reading the Twitter moments from Lizzie and Maura’s sessions. If you were unable to attend any of the receptions, Twitter moments of the English, Scottish and Welsh receptions are all available.